Raymond Head MA ISM FRAS, composer, writer and teacher of voice and piano, lives in Chipping Norton, Oxfordshire, UK. He is Vice President of the Holst Society, a Fellow of the Royal Asiatic Society, and a Member of the Royal Society of Musicians and the Incorporated Society of Musicians (Performers and Composers Committee (2004-2007). For nearly twenty years he taught at Sibford Quaker School, Banbury, Oxfordshire. Born in London in 1948, after studying the piano with Alice Goossens he went to Dartington College of Arts and Rolle College, Exmouth, Devon from 1967 to 1970. He studied composition privately with Roger Smalley and Edwin Roxburgh and visited Darmstadt, Germany for the Ferienkurse für Musik in 1968. After teaching at Bottisham Village College, Bottisham, Cambridge and subsequently in Devon he went to Rome in 1976 and taught at St George's School, Rome and was a repetiteur for Hans Werner Henze's first Cantiere at Montepulciano, Tuscany. Disillusioned with the path of contemporary music Raymond Head began an investigation into Indian influences on Western culture, a long time interest. This led to post-graduate work at the Royal College of Art, London, travel in the USA on a British Academy scholarship and a short-stay Yale Fellowship. 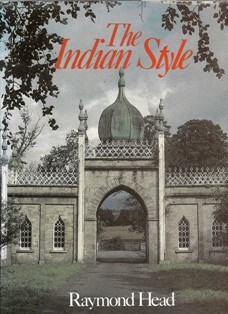 In 1986 he published a book The Indian Style (Allen & Unwin, London, University of Chicago Press, 1986) which was followed in 1991 by A Catalogue of the Paintings and Drawings in the Royal Asiatic Society, London . He was invited to give the Sir George Birdwood Memorial Lecture at the Royal Society of Arts, London in 1987. He also gave concerts and broadcasts for the BBC in London (during the 1982 Indian Festival, London), Turin and for the National Trust on the theme of Indian influences on western music. Teaching on holiday courses for the University of Hawaii and Colorado in London 1988-1990 re-awakened an interest in composition and encouraged new ideas that were contemporary and communicative. 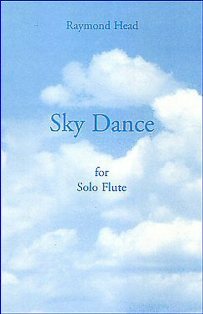 Raymond's music is published by Sky Dance Press. He has had rehearsal-performances of Three Imaginary Scenes conducted by Guy Woolfenden at the Music for You Course, Bicton, Devon. The first public performance was given at James Allen School, Dulwich, London on 5th November 2007. Touching Eurydice was played by the Hertfordshire County Youth Wind Orchestra conducted by Mark Eager. A well-received first performance of his harpsichord piece Sema Mevlana was given in January 2007 by its commissioner Penelope Cave who also played all his harpsichord music in a recital at Wallingford, Oxfordshire in August 2007. His flute and piano piece Standing Stones was played on 14th March 2007 by Christopher Britton (Flute) and Raymond Head (Piano) during a recital for the Oxford Research Group international conference on nuclear weapons limitation at Charney Manor, Oxfordshire, UK. His harpsichord music was played at the Stratford on Avon Festival on 16th October 2007 by Penelope Cave. On 4th October 2007, Raymond gave a lecture What Do Composers Do? at the Holst Birthplace Museum, Cheltenham. Schauberger's Dream was played at Guildford High School for Girls at the end of November 2007. On 1st December 2007 the Hearts of England Recorder Orchestra conducted by Colin Touchin gave the first performance of Recollections of Sun and Water at Bromsgrove. The Morley College Chamber Choir under Dr Robert Hanson sang Anthem for Feast of Holy Light on 12th December 2007 at St Mary Aldermary Church, City of London, a repeat of their performance at the Festival of Light day at the V&A Museum on 24th November 2007. There have been repeat performances of many of works and first performances of Bogoroditsye Dyveo by Choros in December 2011 conducted by Janet Lince, and recording of the same work by Wychwood Chorale conducted by David Crown in July 2012. In September 2012 a harpsichord piece was short listed for a British Harpsichord Society competition. Le Panorama en Rondeau was given its first performance by Penelope Cave on 15th April 2013 at Woking, Surrey. She included both it and other harpsichord works by Raymond in her CD Panorama later that year. Earlier in 2013 Raymond Burley commissionend a guitar piece called Pensiero which was played in Oxford on the 11 February. Raymond's 2016 piece Orion's Cradle Nebula for wind quintet was first performed by Cardiff Winds in Herefordshire. Manchester Recorder Orchestra played his Recollections of Sun and Water at Buxton, Derbyshire and commissioned other pieces for 2016 and 2017: Ikon and Rondo alla Danza, also played at Buxton. In 2018 a clarinet and piano piece Small Voice of Calm was first performed in Vipiteno, Italy and then at the University of Texas at El Paso. His Ave Atque Vale for strings was recorded in the Ukraine to be issued by Toccata Classics. Toda Cambia (Everything Changes), a wind quintet, was performed by Cardiff Winds in September 2018 at Leominster, Herefordshire. Raymond is a Gustav Holst scholar and a musical adviser to the Holst Birthplace Museum in Cheltenham, Gloucestershire. He received a Holst Foundation Award 1984 to pursue original work on Holst and was a Trustee of the Holst Birthplace Museum from 2003 to 2006. On 4th April 2008 Raymond's Fanfare for Gustav Holst was played at the unveiling of Holst's Statue in Cheltenham. Raymond has contributed many music reviews and articles to TEMPO, The Independent, BBC Music Magazine, The Listener, Early Music, Classical Music and many other journals. See selected bibliography. He has written CD notes for Hyperion and Carlton Classics, broadcast for the BBC and has also lectured widely in the UK, Europe and America. In March 2006 he published a complete Urtext edition of Holst's Wind Quintet (1903) previously only available in a truncated form. In 2011 he published A Piece for Yvonne (1924), a previously unpublished piano piece by Gustav Holst for Sky Dance Press. He has conducted the North Oxfordshire Scratch Orchestra in unfamiliar British music (1987-1992) and the Banbury Symphony Orchestra (1988-1993). In December 2008 he was asked to play classical music on the piano for an 18th birthday party at Penhurst, a school for the severely disabled in Chipping Norton, and was overwhelmed by the response of the pupils who reacted in quite instinctive ways to the music of Bach, Chopin and Schubert. In January 2009 at the request of the Chipping Norton School Community Arts Officer he began a choir for those who just wanted an opportunity to sing for pleasure without knowledge of notation. Also in 2008 he formed and conducted the Chipping Norton Commmunity wind band.